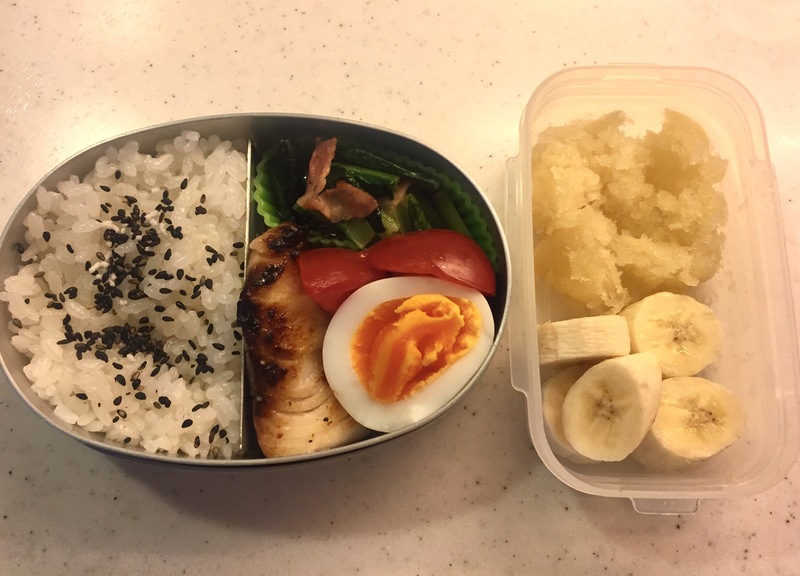 Around this time a year ago, my bento making started as my daughter entered her kindergarten, and I remember each time I packed grilled fish I carefully flaked their flesh so that she could easily eat them with her small fork. It may sound like I was spoiling her, but I thought it’d be better to see the bento box empty rather than with the whole chunk of fish left. Now after one year, she clumsily uses her chopsticks and flake them herself. Not so precisely just yet, but I think that’s only a matter of time. It’s a great improvement for me, too – I now just cut a filet into a few pieces and put the chunky bits into the bento box. What a time saver!